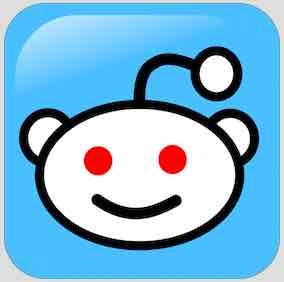 Why is Reddit’s CTO Martin Weiner special? I was reading the New Stack recently, and stumbled on Joab Jackson’s article about Reddit CTO Martin Weiner. He had some pretty on point observations about stable applications & predictability. He was technical lead at Pinterest & now he’s CTO at Reddit. Those are pretty serious creds. But why wouldn’t he advocate the coolest new language, or baddest new NoSQL database? Also: Does Amazon eat it’s own dogfood? That’s right, picture yourself the ops team or developer who’s gotten paged in the middle of the night. You rub your eyes and look at the computer screen. You’re getting an error on MySQL. You dial up google & find the answer. You fix it & fall back to sleep! New unproven technologies may solve old problems, but they’re also unpredictable. They break in new ways. They’re still immature. That’s dangerous. What you really want is predictability & you get that from boring tech. 4. Because you can hire for it! There are lots of technologies that have been around for a while, that are stable, reliable & *gasp* you can find people who know them! Also: Is Amazon Redshift a game changer? While you’re discovering the coolest bleeding edge technology, and imaging the castles you can build, don’t forget that it will break at some point. With boring tech, the fix is within reach. Also: Is data your dirty little secret? Does AWS have a dirty little secret? Previous PostPrevious Does Amazon eat it’s own dog food (ahem…) or drink it’s own champagne?